House Clearance Service In All Areas Denby Dale Dewsbury Kirkburton Mirfield. We’ve recently moved into the family farmhouse and there is a lot of furniture still here which is not wanted. There is wardrobes, draws, beds, dressers, bed side tables and dining room tables (some of which is stag furniture). We are located in Dewsbury, so not too far from from Leeds. 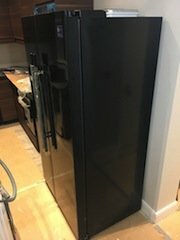 I was wondering if someone would like to come and have a look at what we have as we are keen to get rid asap. Look forward to hearing back from you, Kind regards. 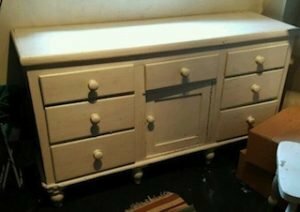 A hand painted white large solid pine sideboard, having three drawers to either side of a central drawer above a cupboard. 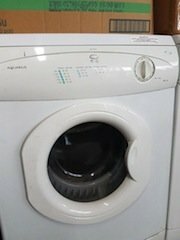 A white AEG 1200 spin under counter washing machine. 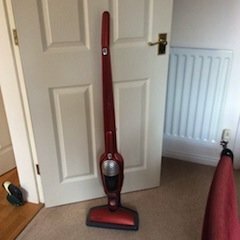 A metallic red and grey Electrolux 2 in 1 upright vacuum cleaner. 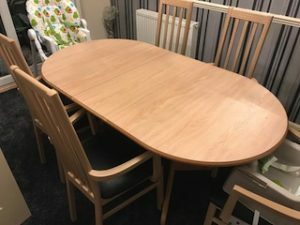 A large oval solid wood extendable dining table, together with six matching high back dining chairs, upholstered to the seats in black faux leather. 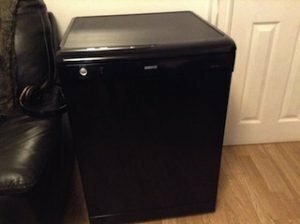 A black high gloss Beko free standing full size dishwasher. 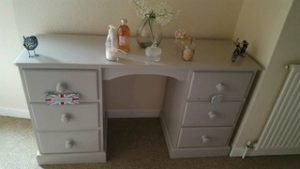 A hand painted grey solid pine dressing table, having six drawers. 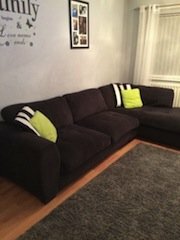 A large four seater right hand corner sofa, upholstered in charcoal velour, together with various throw cushions. 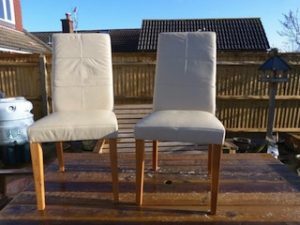 A pair of high back dining chairs on pine legs, upholstered in cream faux leather. 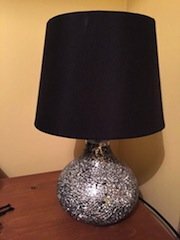 A silver crackle glass mosaic table lamp with black shade. 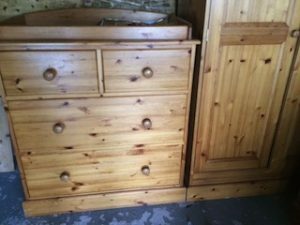 A tall standing solid pine double wardrobe and matching chest of drawers, having two small over two large drawers. 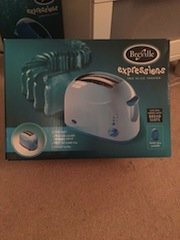 A brand new boxed pale blue, Breville Expressions two slice toaster. A tall standing chest of drawers, having two small over five large drawers with chrome handles. 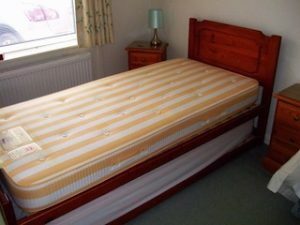 A Reylon storage singled bed frame and single mattress, together with a pair of solid wood bedside drawers. 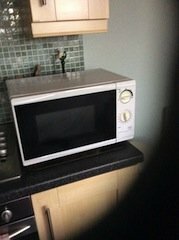 A white Tesco 700 Watt 20L microwave. 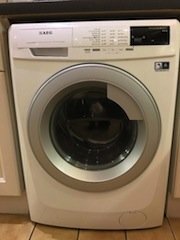 A white Hotpoint Aquarius TDL30 under counter tumble dryer.